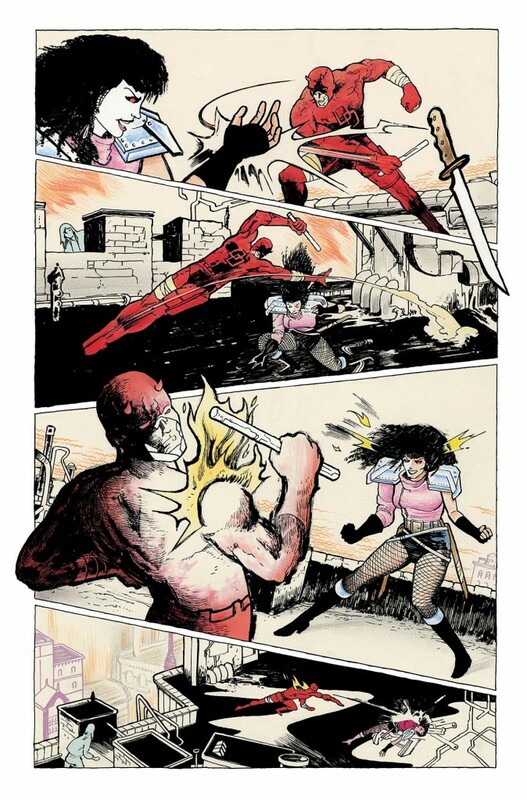 “Guilty Pleasure” is a Daredevil story I wrote, drew, and colored for Secret Wars: Secret Love #1. 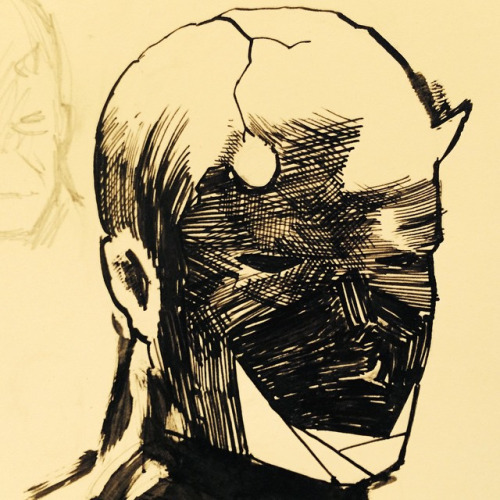 Published by Marvel Entertainment, August 2015. Available at your local comics store or digitally. Lettered by Clayton Cowles. Cover by David Nakayama. Daredevil & Karen Page created by Stan Lee & Bill Everett. 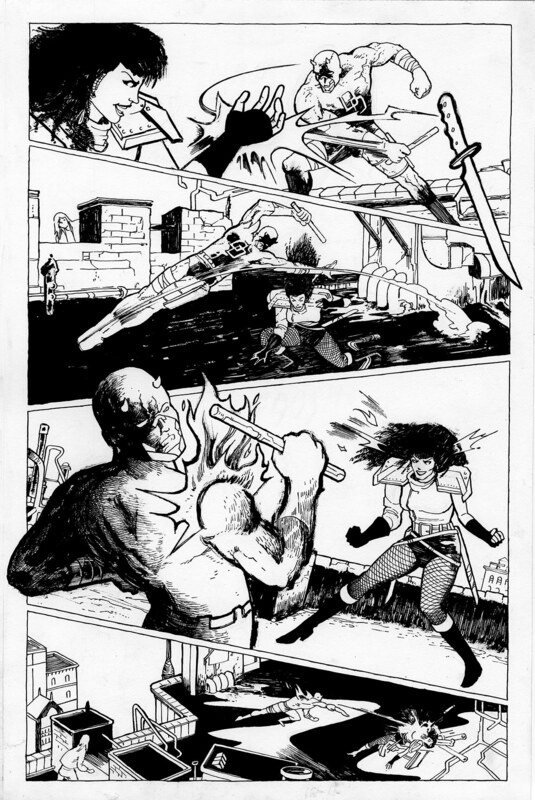 Typhoid Mary created by Ann Nocenti & John Romita Jr.
Mephisto created by Stan Lee & John Buscema (redesigned by JRJR). 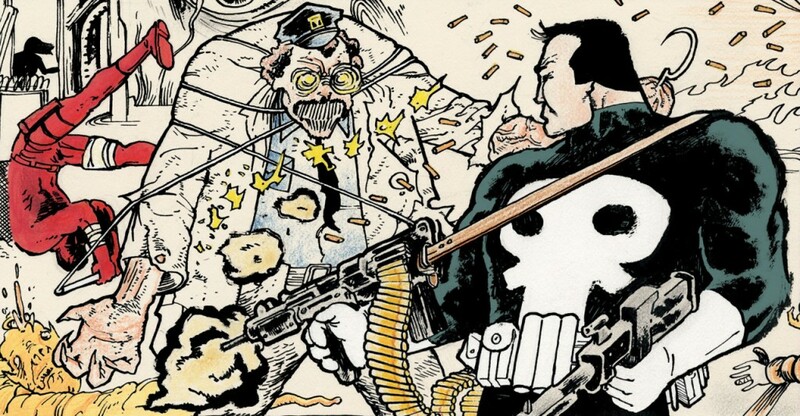 Punisher created by Gerry Conway, Ross Andru & John Romita Sr. 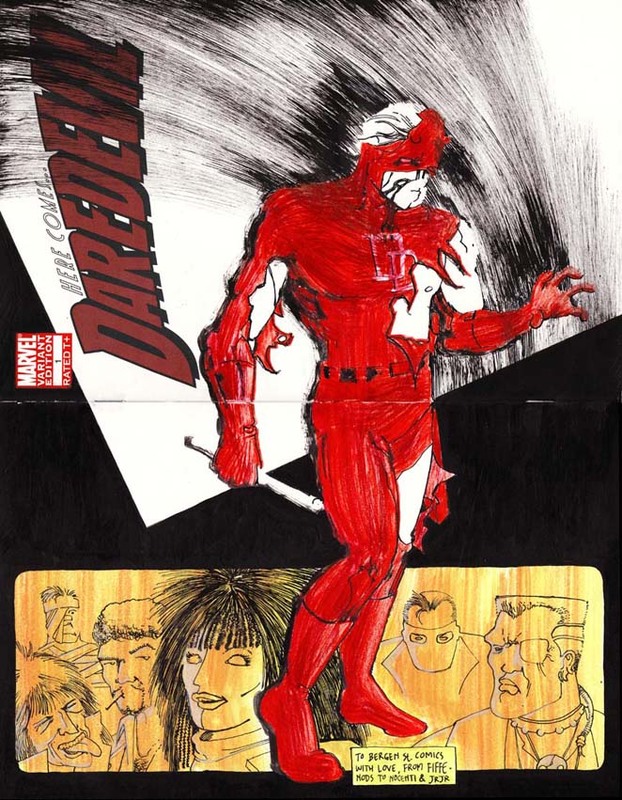 Daredevil was the first Marvel comic I collected with regularity, feverishly hunting for back issues and anxiously awaiting next month’s episode. 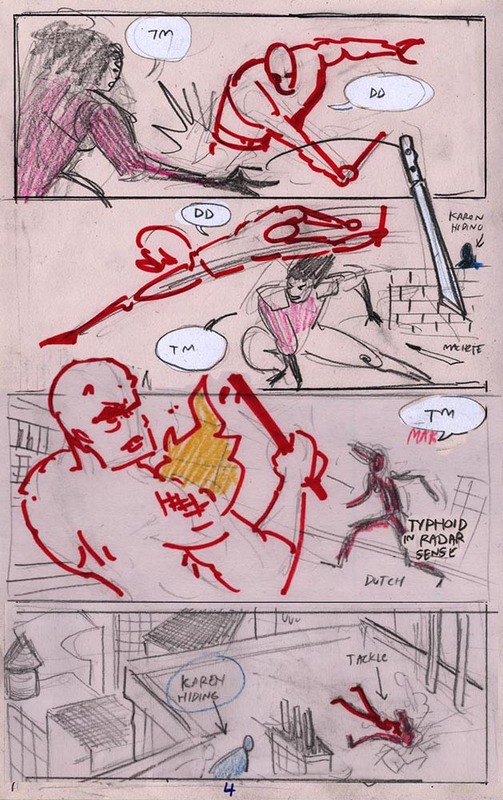 I’ve drawn Daredevil several times since, sometimes even for try-out pages. Typhoid Mary’s another story. She’s only graced my drawing board a couple of times. 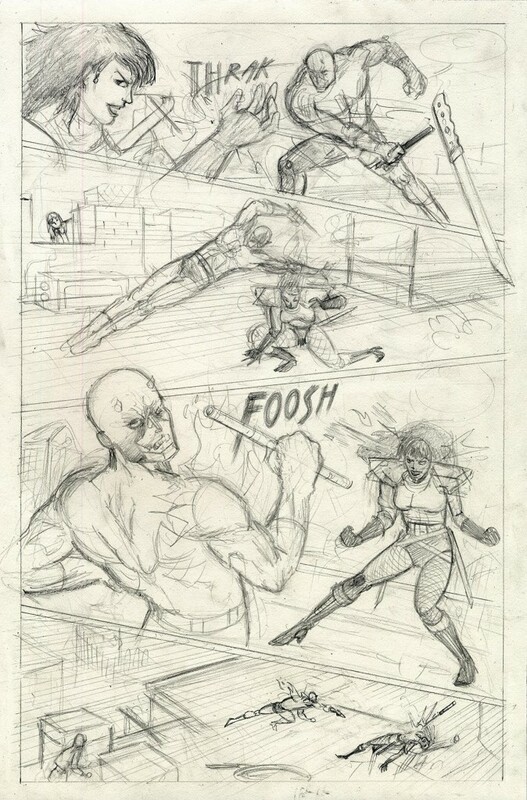 Rogues’ gallery sketch, 2010: Wild Boys, Typhoid Mary, Bushwacker, Bullet, Ammo. 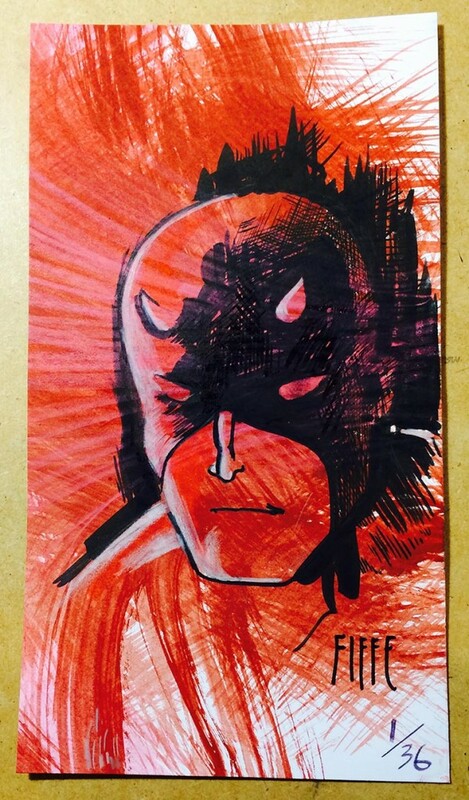 Daredevil #1 sketch variant for Bergen Street Comics, 2011. Regardless, I was more than ready to make my very own love letter to the series that briefly had a stoic DD running around in bandages. Which speaks to my story’s backdrop: INFERNO aka that time when demons took over Manhattan and Matt Murdock was caught up in its insanity while dealing with his own drama (issues 262, 263 & 265 are hands down the best. Cap it off with 266). 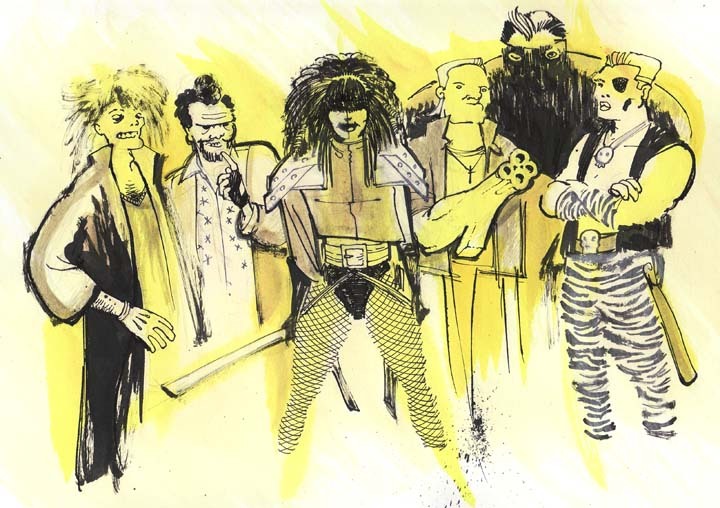 Nocenti wrote funny, insightful and exciting stories here, and JRJR matched her intensity with a visual flair that has remained strong since the days of its publication. This is classic stuff, electrifying material that has clearly stayed with me. Of course I was going to tap into this brief but potent corner of Hell’s Kitchen. Getting to work on these characters has been a thrill of a lifetime (as some could probably tell when I started shooting my mouth off) so go out and get this here issue. 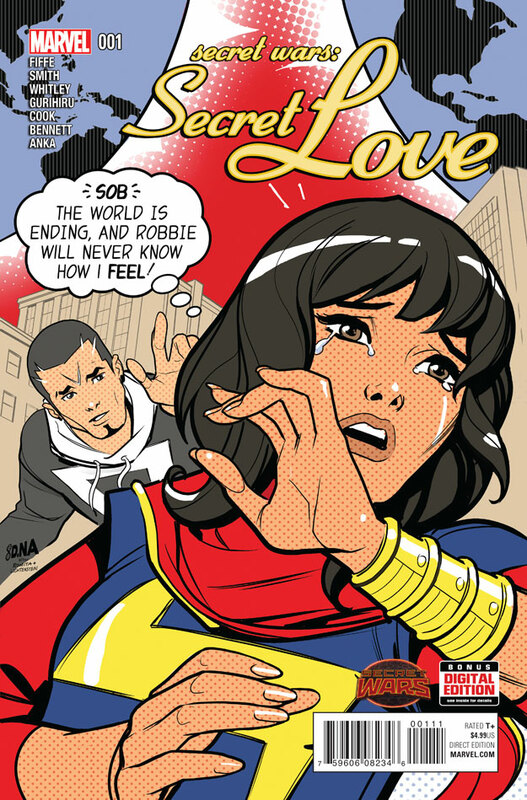 Secret Wars: Secret Love #1! “Overwhelming and intoxicating.” – Wait, What?